Pusarla Venkata Sindhu is the star badminton player of India. In 2016, she became the first Indian woman to win an Olympic silver medal, and only the Indian badminton player to ever win an Olympic medal. Saina Nehwal is the other player. Sindhu then went on to win silver in Women’s singles at Commonwealth Games 2018. In addition to that, she also won a silver medal at the BWF World Championships in 2017 and 2018. She used to travel 56 km every day for her training at the All England Open Badminton Champion’s Academy. Her hard work bore fruit and she made her mark at the 5th Servo All-India ranking championship. From here on, she raised her gaming standards higher and higher. She caught the attention of the entire nation by becoming the first woman silver medalist at the Rio Olympics in 2016. She also achieved a feat of three consecutive silver medals in official tournaments and matched the record of Lee Chong Wei. 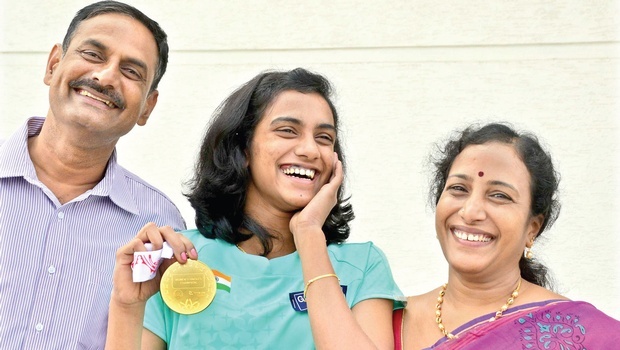 From a small girl who started playing badminton just as a pastime, to India’s first woman silver medalist at the Olympics, it has been quite an incredible journey for Pusarla Venkata Sindhu. There have been some downs, but mostly lots of ups for Sindhu. She has continuously proven her mettle as a world-class badminton player at every stage. Currently, she is ranked at number 2 by the Badminton World Federation. It was Sindhu’s debut appearance at the games and she had to settle for a bronze medal. She lost to Michelle Li of Canada in semifinals by 22-20, 22-20. She did get a podium finish though by defeating Jing Yi Tee from Malaysia 23-21, 21-9 and winning the bronze. First, she defeated Bae Yeon-Ju 19-21, 22-20, 25-23. Then it was the turn of Wang Shixian to be ousted by 19-21, 21-19, and 21-15. However, Carolina Marin showed superb class to beat Sindhu in straights sets. Sindhu did get a podium finish and brought him the bronze medal. 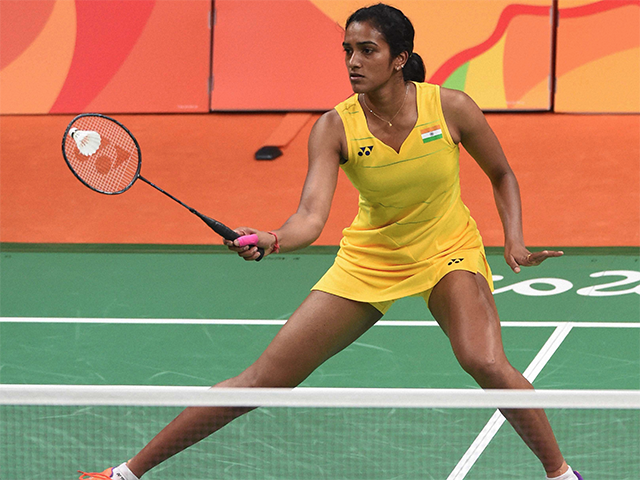 In the semifinals, Sindhu defeated Wang Yihan of China 22-20, 21-19 and set a date to make history. When she was fighting it out in the finals against the Spaniard Carolina Marin, the whole country held its breath. She may have lost the finals 19-21, 21-12, 21-15, but she won numerous hearts with her silver medal. After a stellar performance throughout the tournament, Sindhu lost 19-21, 22-20, 20-22 to Nozomi Okuhara of Japan. She did come home with a sparkling silver medal and made the country proud. The Gold Coast games were very special for the Indian badminton team. 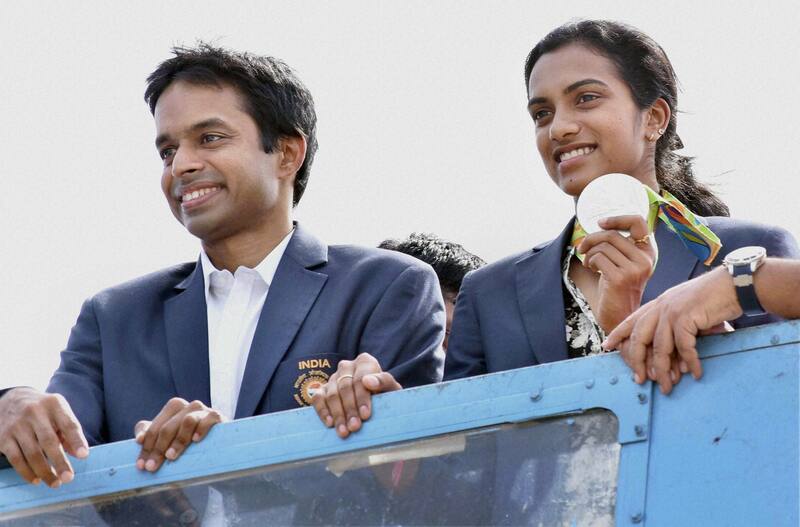 The team won a gold medal in the mixed event and Sindhu won the silver in the singles event. 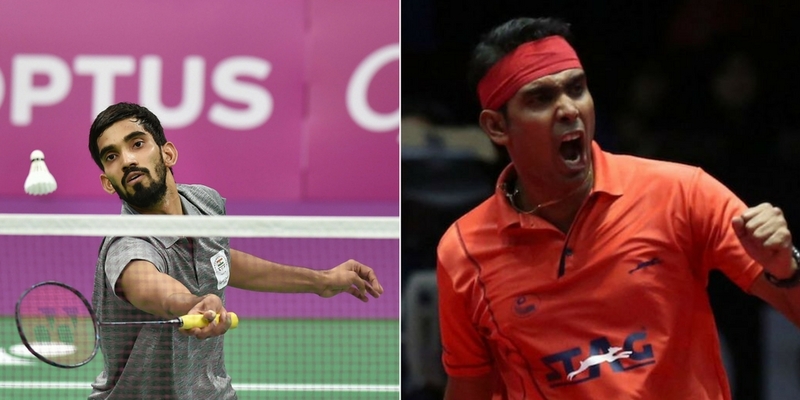 It was a proud moment for Indians, as both the finalists were Indians – Saina Nehwal and P.V. Sindhu. 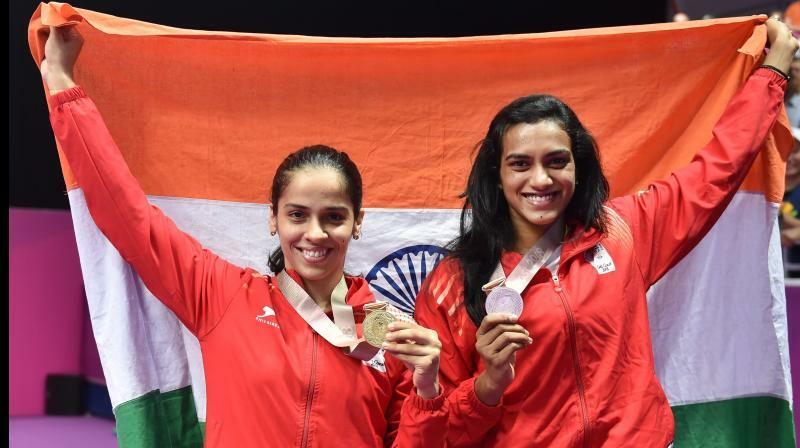 Saina went on to win the gold by defeating Sindhu 21-18, 21-19, but that day there were no losers for us. Once again Sindhu showed remarkable class to win a silver medal. This turned out to be her third consecutive silver in major events. She lost to her nemesis Carolina Marin of Spain in straight sets 19-21, 10-21. There have been many assumptions in the media about Sindhu losing out in the finals due to some mental block. Some reports suggest that she has cold feet when it comes to finals. It is ridiculous that instead of appreciating her achievements the media is overanalyzing her defeats. Defeats are a part and parcel of a sportsman’s life. Instead of letting them be anchors, they should be used as stepping stones. Sindhu was very gracious as well dignified through this controversy, and here’s her post from Instagram. P.V. Sindhu has achieved tremendous success at a very young age due to her extreme hard work and commitment to the sport. She is in excellent form and great frame of mind. After three consecutive silvers, the Asian Games 2018 are the perfect opportunity to get the yellow metal home. We wish her our best for the Asiads as well as for all her future endeavours, and can’t wait to see her shine like the golden girl of baddy in India! Sport is literally in the DNA of this badminton star. Sindhu’s parents P.V. Ramana and P. Vijaya are both national-level volleyball players. They encouraged her to pursue a career in sports ever since she was a little girl. She started playing badminton at the tender age of six! It is very commendable, considering most of us are busy with cartoons and crayons at that age. She has an elder sister named Divya. Divya is a doctor but has played handball on the national level. Later, she got married to US-based software engineer Anurag Kumar. A family of sportspersons indeed! Sindhu likes to listen to music or watch movies to relax. Both her parents were national-level volleyball players. 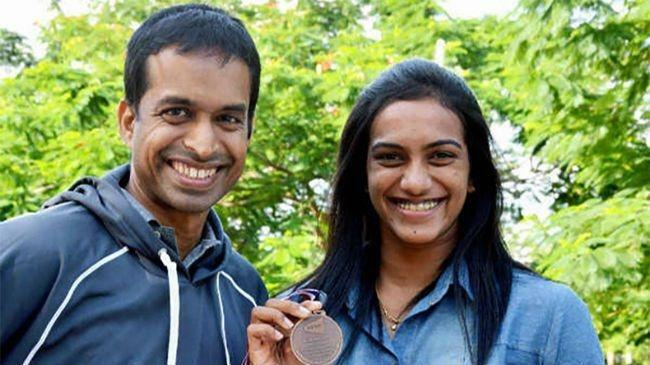 In fact, her father PV Ramana has won an Arjuna Award for his achievements in volleyball. Initially, badminton was more of a pastime for her. A big foodie, Sindhu loves Italian and Chinese cuisines. Her most favourite dish is not so surprisingly, Hyderabadi biryani! Such is the level of commitment for her game that she missed her own sister’s wedding for an important match. It was during a Grand Prix in Lucknow and Sindhu was going to gift the winning trophy to her sister as the wedding present. Unfortunately, she missed out on it. Sindhu finished her schooling in her home city itself but had to continue her education through correspondence. She completed her bachelor’s in commerce from St. Ann’s College for Women. Currently, Sindhu is pursuing an MBA from her college St Ann’s College for Women in Mehdipatnam. She also has an honorary doctorate from the Chennai Vels University. Sindhu is an employee of Bharat Petroleum. She joined the company in July 2013 as an assistant sports manager and is currently the deputy sports manager there. Sindhu’s favourite movies are Bahubali and Dangal. Hrithik Roshan, Mahesh Babu, and Prabhas are her favourite actors, whereas Kajol and Anushka Sharma are her favourite actresses. The organization Olympic Gold Quest is supporting Sindhu is her quest to bring glory to our nation. The not-for-profit organization also supports athletes like Gagan Narang and Saina Nehwal. According to Forbes Magazine, PV Sindhu (₹57.25 crore) was the highest money gainer in 2017 (in %). Her total earnings skyrocketed by nearly 17 times that year. This epic rise was propelled by several brand endorsements after the Rio Olympics. She’s also featured in another of Forbes List. Sindhu was ranked among the top ten best paid female athletes in the world, earlier in August. According to the magazine, she earned at least $8.5 million (or roughly ₹62 Crores) between June 2017 and June 2018. She was also named in this ‘Tycoons of Tomorrow‘ list this year. Sindhu reportedly charges anywhere between ₹1 to ₹1.5 crore a day for brand endorsements. Although that hasn’t discouraged brands from lining up, with MNCs like Reckitt Benckiser (for Moov), online fashion store Myntra, foods maker Apis and state-run lender Bank of Baroda all featuring on her portfolio. Last year, PV Sindhu also overtook MS Dhoni (and many other fellow cricketers), making more cash per day of endorsing brands. 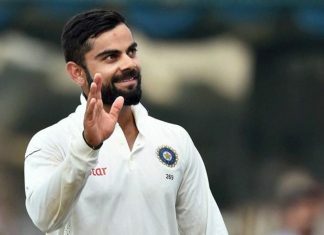 Ruling the roost in a traditionally male-dominated category rightly justifies her brand image as one of India’s most bankable sports personality. Apart from the income from endorsements, she also has career earnings of $ 457,583 or ₹ 3,35,61,425 according to BWF’s official website.